The book challenges the conventional notion of Markedness - a very central albeit controversial conept in linguistic theory. The authors investigate the structural representation of a selection of semantic categories in a sample of some 100 varieties of Romani, which have been separated and dispersed throughout Europe during the past six centuries. Generalizations are made on the kind of structural changes that are attested in the sample, and the extent to which certain semantic-conceptual values are found to be marked or unmarked, following a series of criteria, and a new, dynamic model of Markedness is proposed. 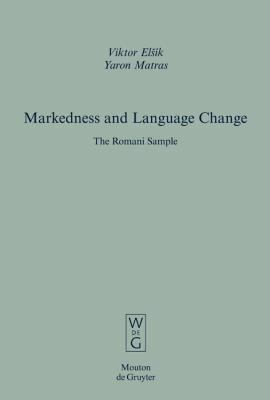 Special attention is given to grammatical borrowing and the role of language contact in language change.Elsik, Viktor is the author of 'Markedness And Language Change The Romani Sample', published 2006 under ISBN 9783110184525 and ISBN 3110184524. Loading marketplace prices 82 copies from $179.78 How does the rental process work?